Old Hickory Buildings is a leader you can trust in the portable storage industry. For 20 years, we have succeeded by providing our customers with dependable storage solutions and a quality buying experience. With over 700 locations in North America, a huge variety of buildings and options to choose from, and an inventory of over 10,000 buildings in stock and ready to deliver, you're sure to get the building you need, when you need it. Our professional, on-site sales people will help guide you through the buying process using our advanced computer order system. Our sleek, modern system leaves no room for error with every custom order being drawn to scale and, with a full 3d rendering of the building, you can see a representation of what your building will look like before you purchase. Not sure how you want to customize your building? Browse through our extensive galleries of photos here, or check out our Facebook and Instagram pages for ideas. 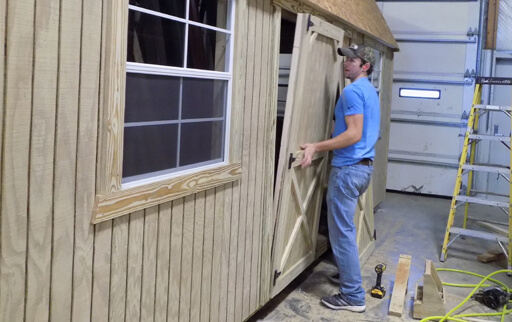 Using the old fashioned, country tradition of barn building, we at Old Hickory Buildings and Sheds create quality storage buildings for many happy customers throughout North America. Our factories use the same traditional construction techniques and philosophies handed down from generation to generation among the many Amish and Mennonite communities. In fact, the kind of quality, care and attention to detail that we put into each and every one of our barns is how we became leaders in our industry. Our overriding philosophy of quality can be seen in our company's culture every day. From the premium materials we use to the engineer certification process, and from our highly skilled and customer friendly delivery drivers to our knowledgeable salespeople, you can be confident that you'll get the best building for your needs at a price within your budget. Our talented, experienced delivery drivers will provide you with a quick and efficient delivery experience. There is no site preparation necessary and our free set up includes leveling, starting with one corner at ground level, up to 3 feet with customer supplied concrete blocks and driver supplied pressure treated shims. Our drivers also bring blocks with them and can supply them at delivery for a small charge. Our no hassle terms make getting the storage you need simple and affordable. No credit checks are required with our easy rent-to-own programs and, with our Low Price Guarantee, you can be sure that you are getting the best possible price, no matter how you pay. If you find the same quality building for less, we will match or beat any competitor's advertised price. 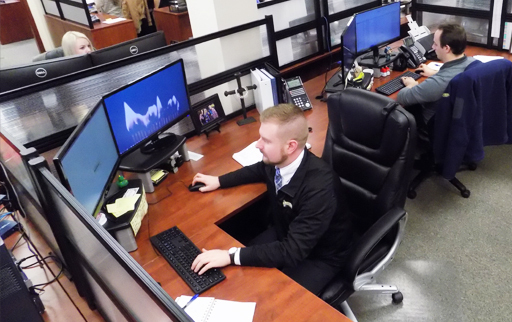 Our ever-growing team consists of highly skilled builders, knowledgeable sales dealers, friendly, trained delivery drivers, and dedicated, detail-oriented office staff, all working together with the goal of providing you with the best quality buying experience in the industry. Click on the links below to find out more information or to join our team. 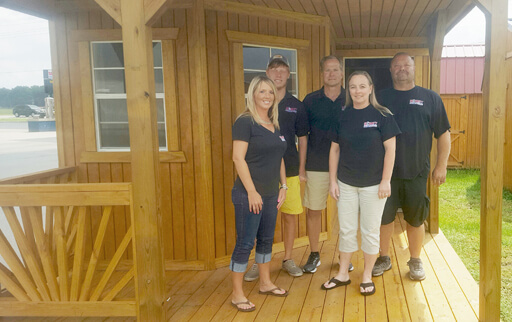 From the coast of South Carolina, all the way up to Canada, and from the sunny hills of California to the plains of Montana, you'll find our hard working teams of builders eager to produce the backyard barn or shed that's perfect for you. Talk to Mervin at his shop in Woodbury, TN and he'll tell you that "We are blessed to have such a good team that works well together. It was and continues to be an enjoyable experience." Or talk to Eli in Prospect, VA, and he'll say "Our team is made up of a wide variety of people who enjoy producing a quality product and have a good time while doing it. We are thankful that God has blessed us with this opportunity." 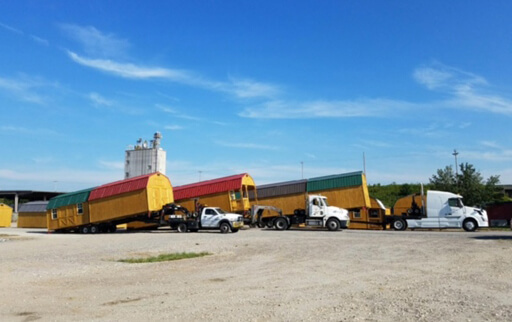 Or Nate in Peach Bottom, PA who says he "is very fortunate to work with an Amish work force that knows how to work hard & play hard"
Once you have found the perfect fit for you, our experienced and trustworthy drivers are ready to bring your building to your property as quickly as possible. 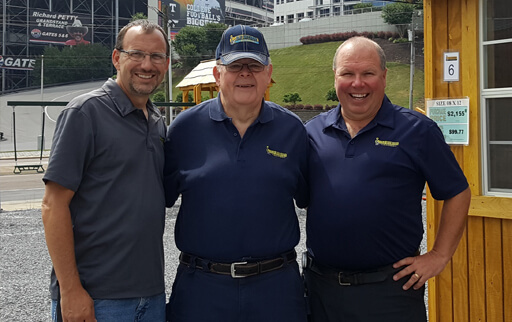 With precise skills and years of experience, our drivers have a passion for delivering your building with care, making sure the final step of your Old Hickory purchase is a pleasure. 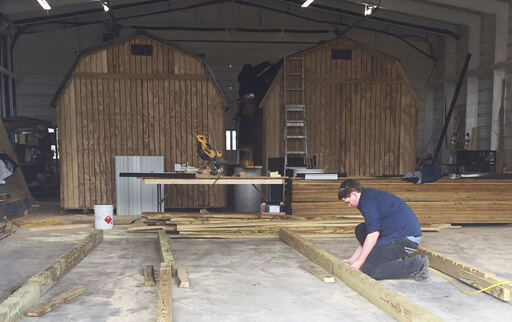 You can rest at ease knowing that the delivery process will be handled by professionals, dedicated to ensuring every customer is completely satisfied with the placement of their building. As with every step of buying an Old Hickory building, our delivery process is a High Quality Experience. Walk onto any of our 700+ sales locations and you'll find a welcoming, well informed dealer ready to answer your questions and help you pick out the backyard storage you need. Getting the right storage building is important. 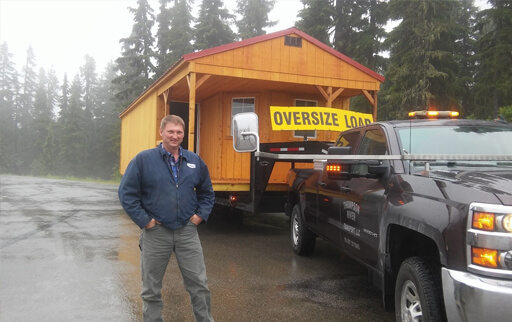 With a consultative sales approach, our friendly dealers make it a priority to find the storage building that fits you and your needs perfectly. Our Quality Buying Experience doesn't just include the purchase of your building. Should you have questions about your building after it is delivered, just give us a call! When you call our office you'll always be greeted by a warm, friendly voice of someone who is happy to help. 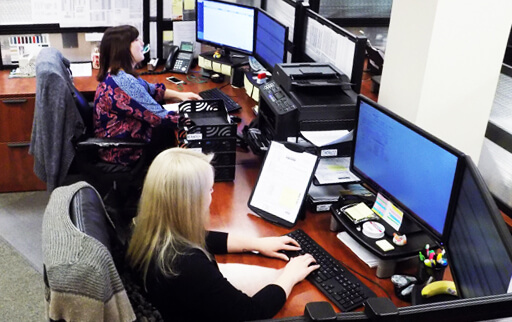 Our office staff prides itself on finding the answers to our customer's questions and helping them to make informed decisions on the best storage solution for their needs.